One of the biggest things that I’m learning is that fitness, health and exercise doesn’t always come in the form of a plate of salad and an hour in the gym. There’s more to feeling good and there’s definitely more to life than just that. 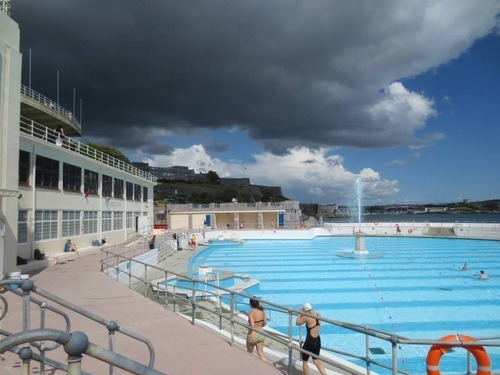 This past weekend I visited friends in Plymouth, Devon and we stayed active all weekend whilst indulging our foodie faces in lots of great food (and ice cream!). 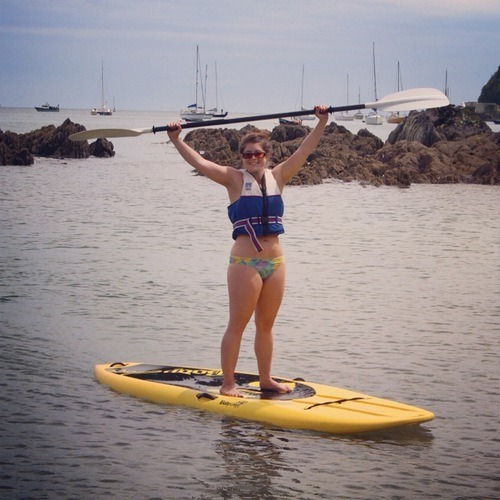 I finally got to try paddle boarding in Cornwall which has been on my list of goals for a while. My balance was better than I thought it was going to be, mainly because the board is so big and wide that it was like standing on a door, but also because my core is getting stronger. I loved it and will definitely be looking to do it whenever I can! We walked a few miles back along the coast to Devon which was very beautiful and included a few hills which was a brilliant quad and glute workout. I attempted to swim in the lido the next day but for a pampered London girl it was a bit too cold… I jumped in and jumped straight out again! Anyway, my point is that exercise can fit into your life in more ways than just pounding the treadmill. Try going for a walk with some friends, swim somewhere new or give something that wouldn’t normally think of a go and see where it takes you!